Every detail in this kitchen — from the linear cabinets to the plank flooring to the marshy granite — flows toward the river beyond. Walls come down and doorways got wider to enhance sight lines to the Potomac, a top priority in the retired couple’s whole-condo renovation. 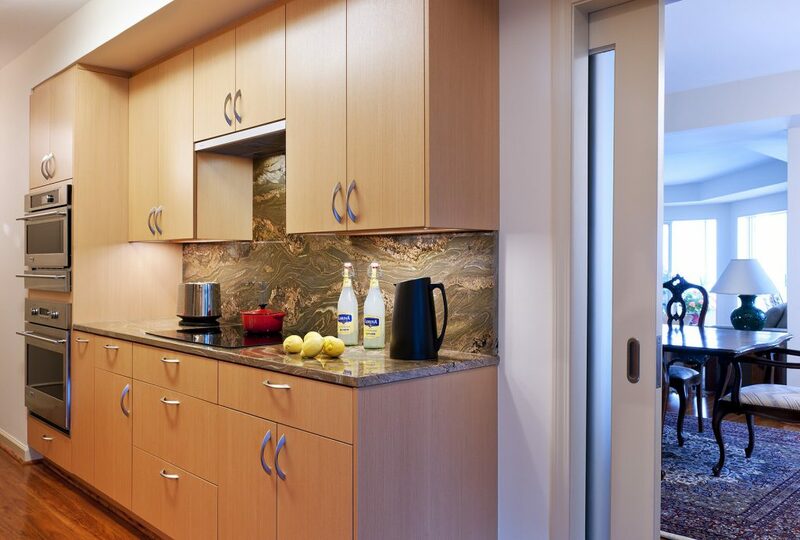 Ample storage and prep space still leaves room for casual waterfront dining. Natural materials — maple, stone, and stainless — combine for a cook’s station with warm, clean appeal. Stacked ovens, induction cooktop, and retractable exhaust fan streamline cabinet storage to keep everyone moving with ease. 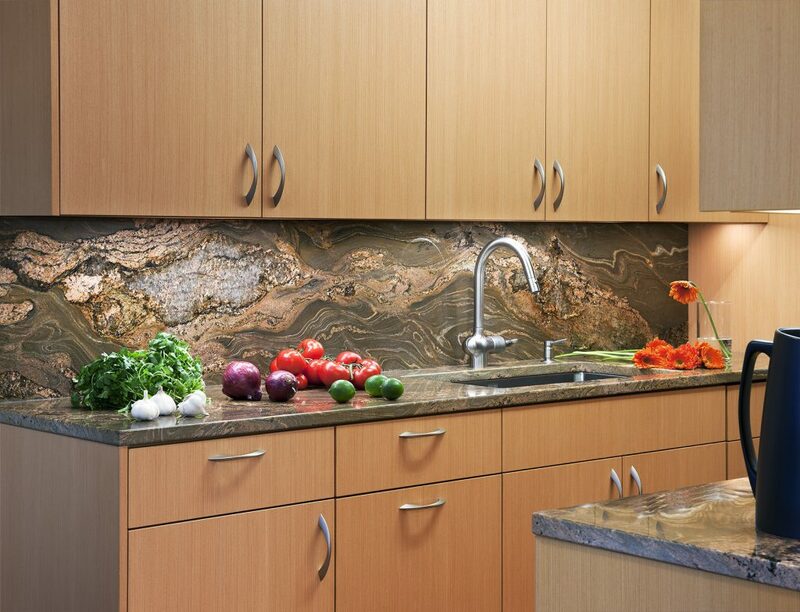 Action-filled granite captures the spotlight as countertop and backsplash on the sink wall — and throughout the kitchen. 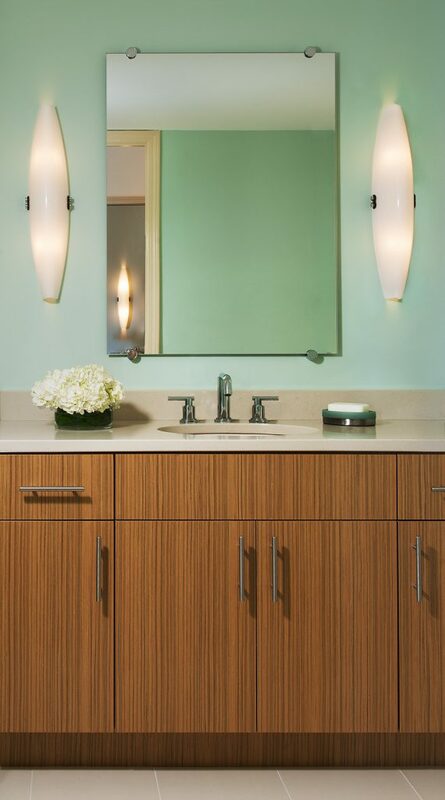 Light maple cabinets, satin nickel fixtures, and an under-mount sink play subtle undertones. The colors of the shore wash over this spa-inspired master bathroom with misty green walls and sandy vanity tops and tile floors. Vertical-grained cabinets echo the reeds along the river’s bike path below.